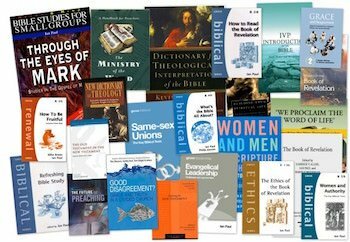 This guest post by Andrew Goddard is a review of Andrew Atherstone & John Maiden (eds), Evangelicalism and the Church of England in the Twentieth Century (The Boydell Press, 2014). Evangelicals in the Church of England are often remarkably confused and ignorant about their recent past. The wider church knows even less about who we are and where we come from as evangelicals despite our growing significance at every level of the church. Often as evangelicals we tell each other a story which fits our particular form of evangelicalism and fails to recognize the complexity and diversity. This volume, the fruit of a conference at Wycliffe Hall, is a wonderful (if sadly expensive) resource which ably rectifies such failings. After a fascinating introductory essay by the editors it presents ten papers from scholarly experts who both distil their previous work and offer new insights and material. In the book’s opening chapter Atherstone and Maiden offer a masterclass overview of Anglican Evangelicalism in the last century and the different maps and taxonomies by which it has been understood. They demonstrate clearly that “throughout the century, the concept of Anglican evangelicalism was widely contested, demonstrating something close to an obsession with self-definition” (7) and suggest “three broad tendencies displayed by evangelicals in response to their ecclesiastical and social contexts: resistance, reform and renewal” (10). This is a potentially illuminating approach although the definition and distinction between the three categories is not always clear and there are dangers that all the terms seem to be reactive. It can certainly produce some interesting categorisation – Fulcrum is probably best labelled “reform”, a designation usually used for a different type of evangelical Anglican! Rejecting “a trajectory of growing dominance” (27) or a stark division into pre-Keele and post-Keele phases the chapter provides an invaluable and unparalleled survey of scholarship on evangelicals in the CofE and demonstrates the need to question elements of common wisdom in relation to five themes prominent in the book as a whole: evangelical diversity and its caricatures, neo-evangelicalisms (not I felt a particularly clear or helpful term), the role of the laity, nation and national identity, and globalization and the Anglican Communion. The next four chapters study evangelical networks and meetings, beginning with a masterful survey of The Islington Conference by the doyen of evangelical historians, David Bebbington. He highlights the divisions and shifts of interests over time reminding us what was once so contested – in 1949 “the most radical suggestion of the conference” (63) was for communion not from the traditional evangelical “north end” or the Anglo-Catholic “eastward” position but the “westward” position of facing the people! One of the conferences great strengths was its commitment to keep meeting despite sometimes deep differences. Islington, he concludes, “wielded a defining power that was not unlike the Roman Catholic magisterium” and “one of the reasons for the fragmentation of Anglican evangelicals at the end of the twentieth century was the disappearance of Islington” (67). 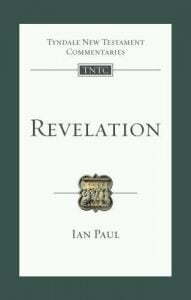 There follow chapters on the Anglican Evangelical Group Movement – the main “liberal evangelical” body from early 1920s to late 1960s – by Martin Wellings and on early twentieth century Anglican Evangelical tensions in relation to the Keswick Convention by Ian Randall, the historian of the Convention. For me one of the most interesting discoveries on attending the original conference was the subject of Atherstone’s chapter – The Cheltenham and Oxford Conference of Evangelical Churchmen. This met annually for 3 days to consider theology and policy and was seen by some as “an Evangelical Parliament”. In 1933 a lecture there appealed “for Anglican evangelicals to overthrow the ban on women’s ordination just as they had overthrown slavery” (127). As Atherstone’s conclusion hints we need to rethink the common story of evangelical ghettos and disengagement until Keele as the virtues usually attributed to Stott and NEAC “were frequently displayed over the previous half century at the Conference of Evangelical Churchmen” (135). A further important question is whether Stott’s energy and entrepreneurship helped kill off other important evangelical Anglican networks only for his initiatives to fizzle out (and/or become the battleground between different groupings) once he was no longer as active or dominant. Chapters six and seven explore evangelicals in relation to Anglo-Catholics. John Maiden, building on his doctoral work on the Prayer Book controversy, explores the relationship through four phases: continuing inter-war conflict, increasing flux, growing rapprochement from the 1960s and then charismatic influences with some Reformed resistance. Again the difference from contemporary evangelicalism is stark – in a 1980 survey of younger evangelical clergy involved in Eclectics while most of the 81 respondents did not by then celebrate north side (49) an even larger number (51) still refused to use candles. Peter Webster focusses on the varied evangelical responses to Michael Ramsey, on whose archepiscopate he has recently published a significant study. One of his most interesting arguments is to challenge “a common conservative evangelical self-image, of a remnant in a hostile church which sought systematically to exclude them, with little alternative than to contend vigorously for truth” (182). In reading this chapter it was impossible not to think of what had changed and what was similar roughly forty years later in evangelical responses to an Archbishop very similar to Ramsey – Rowan Williams – and what lessons we still need to learn as evangelicals in relation to non-evangelical bishops and Archbishops. Matthew Grimley provides a fascinating study of Anglican Evangelical responses to permissiveness through the Nationwide Festival of Light 1971 and 1983. 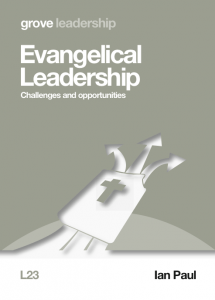 He explores evangelical engagement with culture and politics although conclusions here must be tentative as although many prominent NFOL leaders were evangelical, they were always a minority of evangelicals. Today with groups like Christian Concern we still see divisions among evangelicals over how to relate to wider culture with some having much sympathy with campaigning bodies’ concerns but keeping a distance due to a dislike of tone and style and often in return being criticized for lack of commitment. Here the resistance, reform and renewal categories may be particularly helpful. 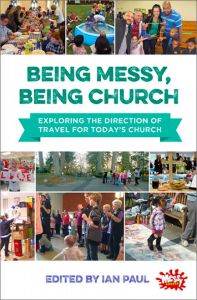 Mark Smith notes that “the story of Anglican parish ministry in the twentieth century has yet to be told” (206) and his chapter shows what a loss this is as he looks at Christ Church, Chadderton in Lancashire (a continuous conservative evangelical tradition) and St Andrew’s, Oxford (with a more diverse pattern of evangelicalism). He notes the conversionist evangelical approach but it was encouraging that even the solidly conservative Christ Church maintained a holistic view of mission in the inter-war years with its parish magazine clear that “The religion of Jesus…is a Way of Life which embraces life in all its phases, and the social implications of the Faith are no less important than the salvation of the individual” (212). Less encouraging was how the 1945 report, Towards the Conversion of England, had little impact on the ground and clericalism remained strong until the influence of a combination of the charismatic movement and the rise of significant lay leaders trained through UCCF. The book’s final two chapters look beyond England. David Ceri Jones gives an account of evangelical resurgence in the Church in Wales where Stott proved crucial not least through building personal relationships with non-evangelical leaders. Interestingly a key factor was Stott’s concern about All Souls members who “lapsed to a non-episcopal church” when they moved to Cardiff (237). Finally, Alister Chapman, author of Godly Ambition: John Stott and the Evangelical Movement, traces how, how much and from whom English Anglican Evangelicals learned in relation to the wider world between 1945 and 2000. 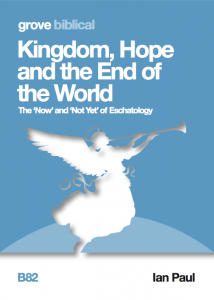 He maps a period of reluctance, moving in the 1960s into growing openness and then in the final decade to much greater willingness with the ministry of John Stott and the rise of the charismatic and Pentecostal movement being crucial in this evolution. Chapman concludes however with four caveats and his study raises a host of interesting questions such as what would have been different in the Church of England if, for example, we’d learned sooner from East Africa or others “who looked and sounded” (265) different from us. This well-produced book, though covering an enormous amount inevitably has gaps such as relations with non-Anglicans and there is little on evangelical doctrine, activism (eg camps) and mission or some of the recent divisions notably over gender. 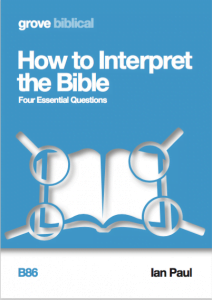 A constant theme is the diversity and sometimes consequent divisions and tensions among self-identified evangelicals revealing a history where “the ability of evangelicals to co-exist should not be overstated, but neither should it be overlooked” (38). Its various accounts raise the question as to whether we need to escape the myth of a golden age where we were all in broad agreement with one another (with the supposedly crucial role of John Stott in securing this consensus) and instead learn the importance of recognizing that last century there were a number of leading evangelical figures (most of them now forgotten to us) and various places of meeting across different groupings that now need to be re-created in order to share in fellowship, discussion and discernment. We will undoubtedly face the future better as evangelicals in the Church of England if we know our past – including our recent past – better and so overcome ignorance and misleading, sometimes polemical and self-justifying, narratives. This collection of papers is an indispensable guide which enables us to do just that. Andrew Goddard is Senior Research Fellow of the Kirby Laing Institute for Christian Ethics. 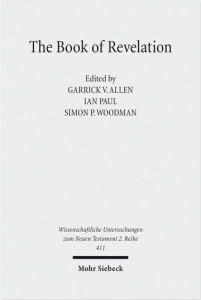 He is author of a number of books, most recently Rowan Williams: His Legacy (Lion, 2013) and co-editor with Andrew Atherstone of Good Disagreeement? Grace and Truth in a Divided Church (Lion, 2015). This review and a longer, more detailed version can be found on the Fulcrum website. Is Archbishops’ Council too powerful? I was brought up inthe 1950’s & 1960’s in a “High Church” which later became anglo catholic. I was ordained after attending Queen’s College, Birmingham the only place that would accept me without university entrance qualifications. I served in middle / high church parishes and LEP’s until in 1988 I attended a Reinhardt Bonnke conference because my some ladies in my elderly congregation wanted to be taken. I heard about being born again for the first time! I heard a message I later recognised as the Christian Gospel for the first time. I went through the motions of becoming born again. I began attending Evengellical Clergy meetings but was not made welcome, I did not sense that my expereince was acknowledged in any way. I was not impressed with Evangelicalism in the CofE I thought it uncaring and unloving. I came to love the Book of Common Prayer and the 39 Articles, I would have enjoyed meeting Cranmer. I left the CofE and worked independantly for many years and now attend a URC/Methodist LEP where I am made welcome. I wish I had been loved by my fellow clergy!